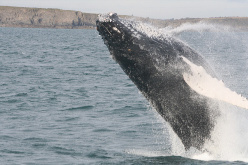 Seatours offer whale watching trips from Duncannon, Ballyhack or Dunmore East from November to March whales permitting. 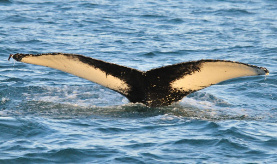 Whale watching is seasonal and the whales may visit the Hook area from November. For bookings and more information email info@seatours.ie. 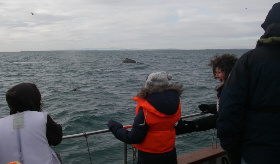 Some spectacular Whales Watching photographs from the whales last visit are available to view on our facebook page. Always arrive 15 minutes before scheduled departure. Dress warmly and bring any food or drink you may require on tour. At this time of year it is advised to ensure you have sunscreen and hats. Seatours Copyright 2015. All Rights Reserved.